The Cities of Love Franchise is releasing today (April 15th) in New York the film “Rio, I Love You”, the third of the series, after “Paris Je t’Aime” and “New York I Love you”. The production weaves together short segments created by 10 renowned directors about romantic encounters (or separations) in Rio de Janeiro, a city famous worldwide for its beauty, sensuality and warmth. It is a great opportunity to connect with Rio through creative and contrasting love stories. The audience will dive into the lives of eternal lovers, occasional lovers, ephemeral lovers or lovers at first sight, as well as into affairs in crisis, which have become bitter, even dangerous. The film also depicts relations of “cariocas” (and visitors) with Rio itself, involving feelings of unconditional love or disenchantment with a city perceived as being not worthy of its own beauty. Given that one of the main ideas behind the project Cities of Love is to offer a comprehensive view of the city in focus, the stories take place in different neighborhoods – the hills of Santa Teresa, the Paquetá Island, the Municipal Theater, the Leopoldina Train Station, the Copacabana boardwalk, the Vidigal Slum, the Pedra Bonita, the Tijuca Forest and, of course, the Sugar Loaf and the Christ Redemeer. The cinematographic diversity is also a highlight of the project. 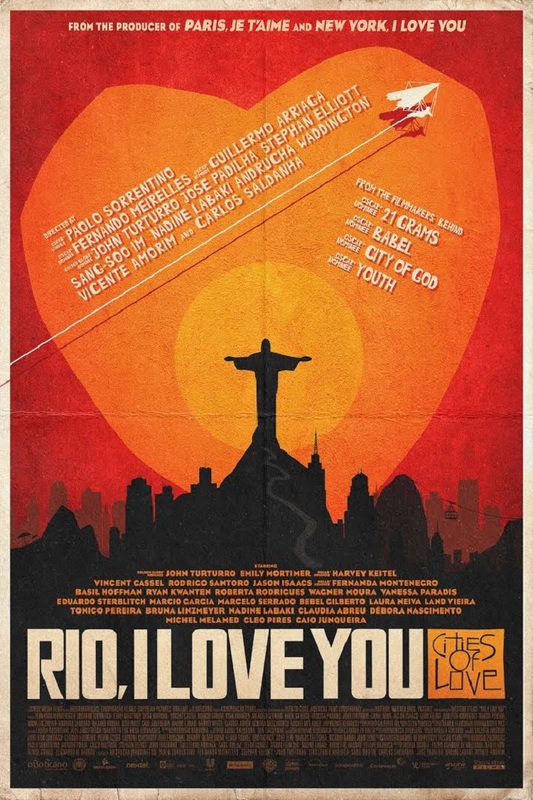 “Rio I love You” is a multicultural film signed by several talented directors, Brazilians and international, with very distinct personalities, backgrounds and shooting styles. They are from 8 nationalities, representing almost every continent of the globe. Synopsis: Dona Fulana lives on the streets and on the street wants to stay. She did not give ear to the appeals of her grandson Leandro, who only knew her as a child and believed that her grandmother had died, until seeing her in the street. Leandro tries, in vain, to convince her to return home, but Dona Fulana leads by a liberating journey through Rio de Janeiro. Synopsis: Dorothy, a former model, and James, her husband, arrive in Rio to spend holidays in a stunning house near the beach. Tired of the repressive attitude of the woman, James will have some insight and help of luck to solve his problem. Synopsis: Zé makes sculptures in the sand, reproducing world known works. Until a young woman crossing the boardwalk inspires him to create an original work. Synopsis: Jay, a famous actor, arrives in Rio Festival to promote his latest movie. Exhausted, he thinks only of getting to the hotel to rest, but his driver, Celio, insists on making conversation. Until Jay faces the Sugarloaf and feels compelled to climb the mountain. Synopsis: A man, a woman, a house in the island of Paqueta. A love story that is coming to an end. A farewell song. Synopsis: Texas, boxer, lost one arm in a car accident. His wife, Maria, a beautiful model, who was also in the car, can no longer walk. Guilty, Texas will do anything to raise the money needed for the surgery that can cure Maria. The feat seems impossible until he meets Gringo, a foreigner who promotes clandestine fights in Rio de Janeiro. Synopsis: The story of Fernando, a tourist restaurant waiter, who owns a big secret, and his passion for Isabel, a sensual woman that, to raise her daughter, works as a prostitute. 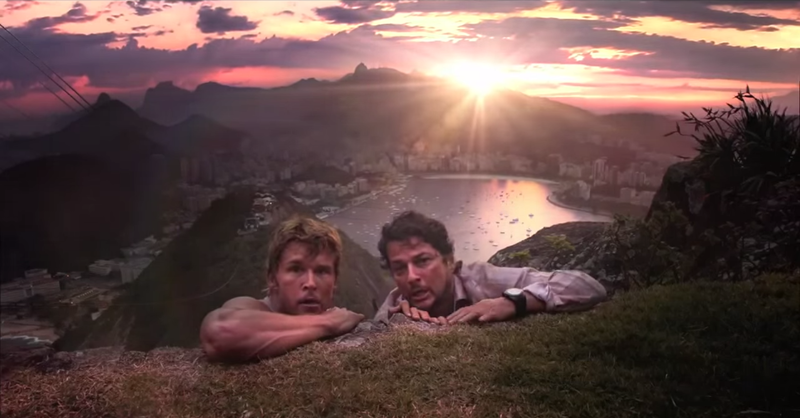 Synopsis:During a hang gliding flight over Rio de Janeiro, a man who has just suffered a heartbreak approaches one of the most famous icons of the city, the statue of Christ the Redeemer, and have a frank conversation with it. Synopsis:Two actors of international fame, participating in a shooting in Rio, come up against a boy who believes getting calls from Jesus. Soon they will understand that this “Jesus” is not exactly who the kid is thinking.